UNiBLOCK Ltd is the sole Distributor for Polycrete Insulating Concrete Form (ICF) products and accessories in the UK and Ireland. 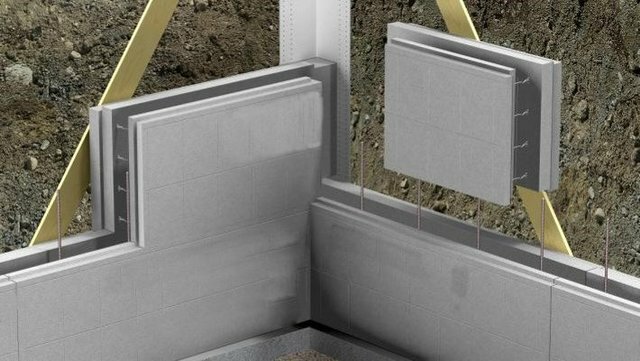 What is an Insulated Concrete Form? Insulated Concrete Forms (ICFs) are formwork blocks for concrete that stays in place as permanent building insulation for energy-efficient, cast-in-place, reinforced concrete walls, floors, and roofs. It applies to residential, commercial and industrial buildings. Polycrete conceives and promotes methods and solutions to facilitate the construction of all types of buildings by using Insulating Concrete Forms (ICFs), also known as Thermal Insulated Modular Systems (TIMS). Compared to any other construction methods. Speed of build is one of our unique selling points. It is far faster to build with UNiBLOCK than traditional brick and block, and even faster than timber frame structures when you factor in the 6-8 week lead time required for timber frames, a UNiBLOCK ICF structure could be ordered and completed within this time. 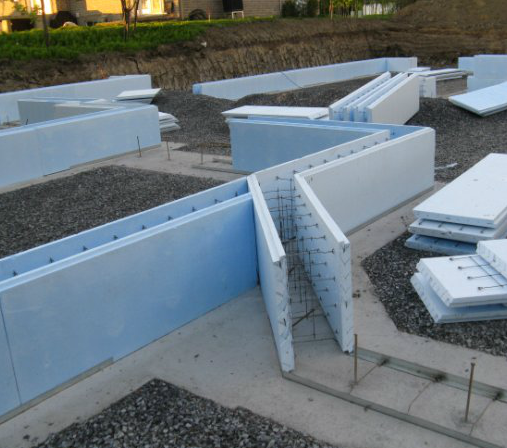 ICF has been used in the UK Self/Custom Build sector for many years due to its performance being far in excess of the required Building Regulations. Speed of build is one of our unique selling points. It is far faster to build with UNiBLOCK than traditional brick and block, and even faster than timber frame structures when you factor in the 6-8 week lead time required for timber frames, a UNiBLOCK ICF structure could be ordered and completed within this time. The unique design of the UNiBLOCK modular system allows panels to be assembled off site and folded for transport. The system component parts are 100% recyclable and technically designed so that cut-offs can be reused, helping to reduce site waste. When all the factors and benefits are taken into consideration, UNiBLOCK becomes extremely competitive compared to both traditional building methods and timber framing. Studies identify that the UNiBLOCK system in comparison to prices is slightly cheaper than the SIP panel system and or traditional build based upon a cost per sq. ft. and or m2. The associated labour element cost is reduced dramatically over both the traditional build and SIP timber frame construction since the ICF system only require semi-skilled labour. The other construction methods dictate highly paid skilled workers who are very scarce. With the adequate training a semi-skilled operative can achieve 5 m2/per man hour which includes set up time and concrete pour. 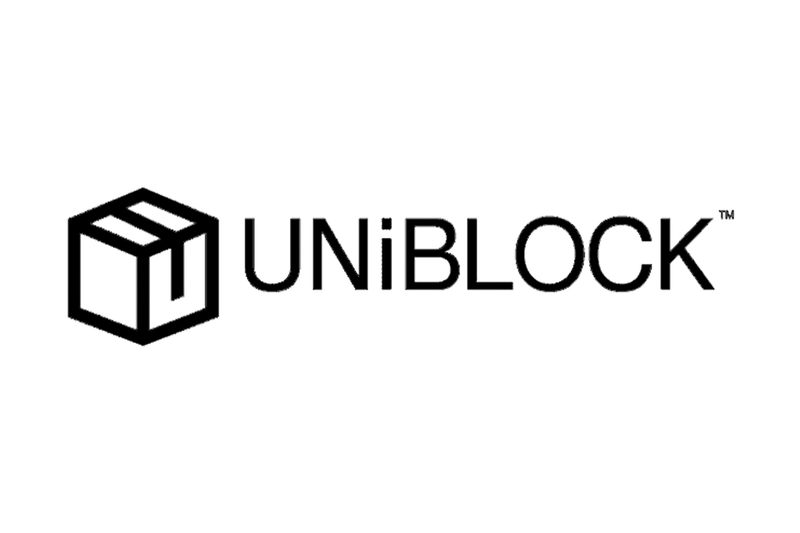 UNiBLOCK Plays a significant role in the reduction of fuel poverty with a property utilising UNiBLOCK the structural walls will deliver U-value of 0.16, due to the structure of the walls the structural performance of the life cycle of the property is greatly enhanced. By adopting a structural NVQ lower technically qualified people can gain the skills required to build with the UniBLOCK system rapidly. A great building method for those less educated to be trained and deliver back into the community whilst generating self-worth. UNiBLOCK Products are manufactured offsite and are delivered to site ready to assemble. Products can be assembled and cut near to site if required with mobile cut shops easily placed at convenient location to the construction site reducing CO2 emissions are large scale building developments. With all products pre-cut prior to being delivered to site the improvement in overall project times are a given. Less clutter around the construction site equals improved safety for all concerned. UNiBLOCK allows architects & developers to embrace modern and traditional styles of buildings without restriction to create beautiful, artistic and functional structures. Building design is only limited by one’s imagination and of course UK planners and local authority approval. UNiBLOCK offers a u-Value of 0.2 w/m²k whilst our Passive Block offers a u-Value rating of 0.16 w/m²k when used in conjunction with other material to achieve PassivHaus, uses 75% less energy than a typical new build property.